engaging in unfair, false, misleading, or deceptive solicitation and business practices. According to the settlement, OTA acknowledged that it failed to oversee Harris Jewelry’s “Operation Teddy Bear” by failing to request an accounting of the numbers of bears sold or any other information in order to determine that the per-bear dollar figure sent to OTA was accurate. The settlement further notes that OTA failed to provide Harris Jewelry with information on how the funds donated by the company were used, or how many care packages were sent to service members. The settlement further notes that the funds donated were improperly expended on non-charitable purposes and states that OTA spent funds and took other actions without any discussion, approval, or oversight by its Board of Directors, in violation of the Boards’ statutory fiduciary duties. As part of the settlement, OTA will cease operating and wind down its operation and OTA’s chief executive Mark Woods is barred from serving as a fiduciary or soliciting for any nonprofit. The agreement will assess civil penalties and requires OTA to continue to provide assistance, as needed, in the states’ continued investigation of Harris Jewelry. The investigation was by led by New York and Tennessee, joined by executive committee states Nevada, North Carolina, and Washington and participating states California, Delaware, Georgia, Hawaii, Idaho, Illinois, Kansas, Louisiana, Maryland, Pennsylvania, and Virginia. guarantee that donations are actually used for the purposes as specified in the advertising of the promotion. 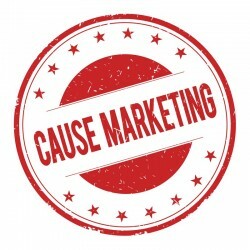 Given a trend towards communicating specific consumer impact in cause marketing campaigns (often structured as 1-for-1 campaigns, in which the purchase of each item triggers a specific charitable impact), charitable sales promotions are increasingly generating restricted donations. Thus it’s critical for charities to undertake the proper procedures to account for and expend these donations in accordance with the stated restrictions, and to ensure that company advertisements are correctly stating how funds will be used by the organization. In our Nonprofit Times article, 5 Things That Are Making Regulators Buzz, my colleague Tracy Boak and I highlighted the solicitation and use of restricted gifts as a leading area of regulatory scrutiny. Nonprofit boards must also provide proper oversight over their organizational activities and expenditures. While the settlement agreement does not provide much detail on OTA’s governance problems, nonprofit governance is also a key area of regulatory scrutiny, with states increasingly seeking to hold nonprofit boards accountable for the organizations’ violation of state charitable solicitation laws. This enforcement action is significant in that it apparently is the first multi-state regulatory activity involving cause marketing in almost two decades. The last such collective activity undertaken by the states was issued in 1999 in a report issued by the Federal Trade Commission (FTC), and sixteen State Attorneys General and the District of Columbia Corporation Counsel. It discussed regulatory concerns regarding false advertising, unfair and/or deceptive trade practices and consumer fraud arising from commercial-nonprofit product advertisements, with a particular focus on implied endorsements and exclusive relationships. In 2012, the New York Attorney General’s Charities Bureau issued “Five Best Practices for Transparent Cause Marketing,” providing guidance to companies and charities on ways to ensure consumer transparency in their cause marketing campaign disclosures. Does the OTA settlement represent the first of many more regulatory enforcement actions focused on cause marketing activities that may be coming down the pike? Or does it simply highlight the first of several multi-state enforcement actions arising out of the new federal and state enforcement initiative named Operation Donate With Honor, which focuses on fraudulent solicitation activities purporting to benefit veterans and military service members? We shall see. In the meantime, we will continue to monitor state and federal regulatory enforcement efforts affecting charities and companies engaged in cause marketing and other fundraising activities, so please stay tuned.